Miakoda, Chipewa & Cayenne released from recovery field. 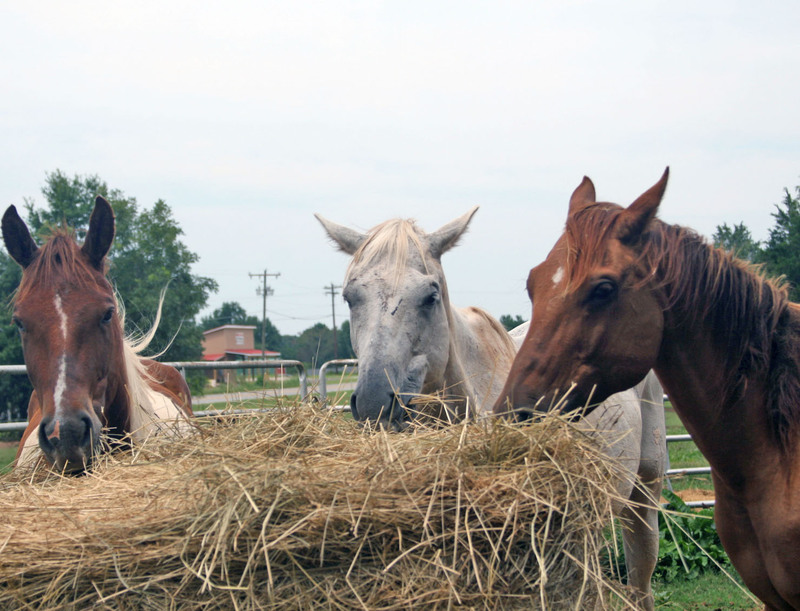 Miakoda enjoying hay with her rescued companions. 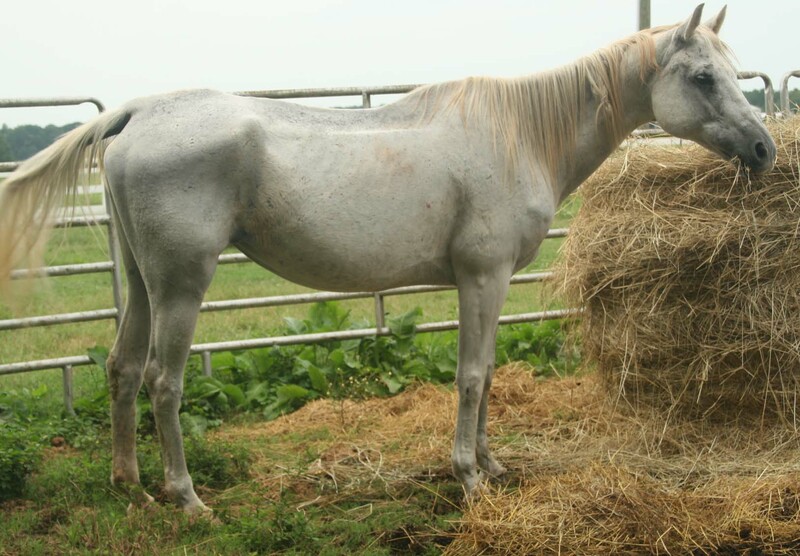 Rescued August 14, 2013 Miakoda is a lovely 11-year-old mare gray mare who arrived at the sanctuary after being relinquished to Surry County Animal Control. She was in a small herd of 4 horses including a stallion. Animal control had her vet checked for pregnancy by doing blood work before arrival but now we feel she needs to be re-examined. 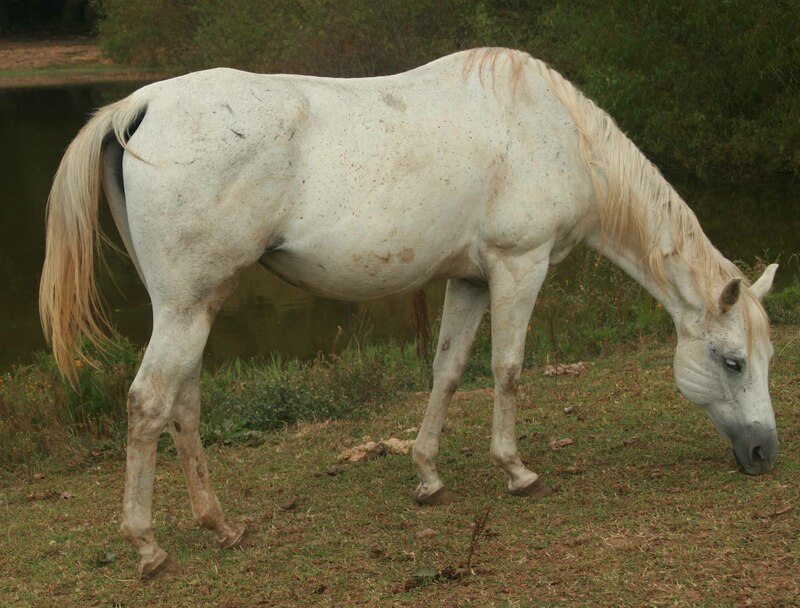 Sometimes blood work does not provide accurate results on emaciated horses. If she is in foal, she will be moved to another field with Cayenne, the other pregnant mare, so she will be off the fescue hay. Miakoda's name is Native American meaning "power of the moon'. She is a pretty Quarter horse type mare about 14.3 hands high and a key-like brand on her flank.